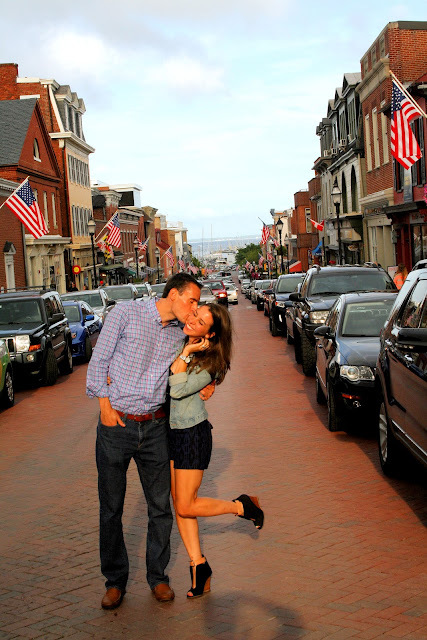 This weekend was filled with a fun day trip to Annapolis, Maryland. 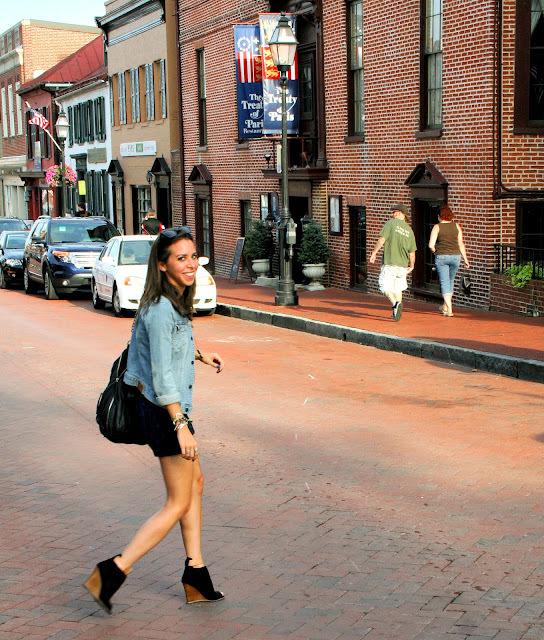 Annapolis is such a cute little town on the Chesapeake Bay that is full of history and ice cream shops. We ate some crabs, walked around, ice-cream parlor hopped, and took pictures of pretty much everything in sight. The weather was beautiful, the food and sweets were delicious, and the company I had was pretty top notch. Because of the unpredictable weather, I tried to dress for whatever might happen (there was a 40% chance of rain). The cotton ikat shorts and tank were cool for the beaming sun and I knew the jean jacket would keep me warm enough while we were inside. Knowing I was going to be the shortest in the group by some inches, I threw on some comfortable walking heels. It was a simple easy outfit for wandering around the little town. Looks like you had a fun trip. Love your outfit! This post is so cute. I love your outfit and I REALLY love your shoes! Love the shoes, they look comfy, perfect for walking around all day! Hope you can check out my newest posts, maybe we can follow each other! I love those shoes! lots of character!